So how exactly do you go about using the DS to visit a friend? There are players who don't own the game for the DS. You don’t need to own the game. All you need is one DS console. By using the DS Download Play function, you can download your player data, put the DS in Sleep Mode and take it to a friend's house. You'll then be able to play in that friend's town. So the DS becomes a way of transporting data? We've called it the DS Suitcase. If a player isn't connected to the Internet at home, even if they’re the kind of player who was happy to play on their own at first, if they have designed a great room and decorated their town, they’re going to want to show their handiwork to someone else at some point. That’s when we want players to use the DS Suitcase so they can get their friends to come and visit them. And for the other player, paying a visit your friend's town might mean you can get hold of some hard-to-find items. We’d like players to play the game with the feeling that even if they aren’t connected to other players at the moment, the day will definitely come when they will be. Isn't it also the case that players who own the DS version of Animal Crossing will be able to bring some of their data across to the Wii version? Naturally, there are a lot of players who have been playing the DS version for a long time and who really feel an attachment to the town they’ve built up. But when you actually think about what was the most important part of the town in the DS version, it was the character that they played as. That’s why we’ve made it possible for players to move house from the DS version across to Wii, taking their name and face, as well as their catalogue. Video: Video for “Moving House from the DS to the Wii". Video for “Moving House from the DS to the Wii". So if you have your catalogue, you can order all the furniture and other items you collected on the DS version from Tom Nook. But why did you decide not to allow players to carry across their money and possessions? It would turn into a ghost town! (laughs) That would be really harsh on those players. You’re also unable to carry fish and insects across to the Wii version. The reason for this is because we want players to feel that whole new challenges are awaiting them. The number of fish and insects has increased significantly, and there are a number of strange and interesting new additions. Finally, let’s turn to the fourth core element in the game. On the GameCube, you were able to use the e-Reader Card6 to load new data for additional characters. 6 The e-Reader Card was an accessory for the Game Boy Advance. 2-D barcodes printed on cards were read, allowing the player to enjoy mini-games and to add new data. At the time, game magazines were holding competitions where readers could send in their characters, and then these characters could go and live in your town. But there were limits to the capacity of the e-Reader Card. But this time on Wii, things are different. That’s right. It looks like all kinds of things will be possible. For instance, we could team up with a drinks manufacturer and then have vending machines that look just like the real thing used in the game as furniture. I’d love to see real objects being integrated into the game as furniture. A huge number of animals make an appearance in this game. What's more, you have the Internet allowing gossip to spread between towns, the passage of time through the 365 days of the year, the seasons changing, and all kinds of events taking place in your town... And then on top of all this, you add in extra items and grass that responds if the player walks on it... It must have been an absolute nightmare to do the debugging for this game! That’s exactly what it was. The debugging of a regular game can be done by simply playing it through in order. But in Animal Crossing there is no order! And what’s worse, it’s a game where all kinds of things are interlinked and tangled up together, which makes it really hard to know where to begin and when to end. Congratulations to you all for getting through it in one piece! Now, I’d like to bring this interview to a close with a message to the fans of Animal Crossing. 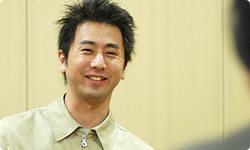 Let's start with Moro-san, the sub-director for the title. I’d like to ask that everyone who plays the game pays particular attention when the animals look like they’re about to move house. I remember in the DS version that you were able to stop the animals moving house when they had packed all of their furniture into cardboard boxes. But it’s not very realistic, is it? Everything packed up ready for the move the following day, and then suddenly you call a halt to it and they just say “Okay. I’ll stay." So in the Wii version, before the belongings have been packed up in cardboard boxes, there's a period when they’re just considering moving. At that point, if you try to talk them round, you can make them change their mind. The other thing I'd like to say is that I want players to play this game everyday, even if it's only for 15 minutes. The more you play it, the more you’ll discover the game’s charm. 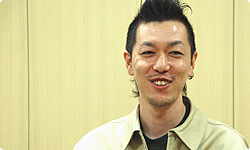 Next, let’s hear from Kobayashi-san, who was the Design Director. We’ve made this game so that it can be enjoyed by fans of the series and newcomers alike. I’d like people to play a little every day. And I’d also like you to pay attention to the way the sky changes while you play. On the DS, the two screens meant that you were always able to see the sky. Creating that sky was totally a process of trial and error. Now that I didn't have two screens to work with, I really felt strongly that there was something lacking when the player couldn’t see the sky. Making the terrain drum-shaped in the same way as the DS version allowed the sky to be visible at the top part of the screen. I really wanted to make it so that you could see the sky changing in different places. I even thought of somehow linking it to the Weather Channel, but unfortunately I wasn’t able to follow this through. I researched the climate in each country, but you had places where hardly any rain fell, on the one hand, and then other places where it poured for most of the year. If it’s always raining outside, the last thing people want is to play a game and find that it’s raining there too! (laughs) Now, to Kyogoku-san. Now that Animal Crossing will be played once again on a TV screen, I think that people who first came into contact with Animal Crossing on the DS will find that there's a very different feel to this game. And then on the other hand, I think it will bring back fond memories for people who first played the game on the N64 or the GameCube. The titles in the Animal Crossing series start with the player working for Tom Nook, so there’s that feeling of familiarity, while at the same time there are many things that are different and many fresh elements for the player to enjoy. I’d especially like the players to enjoy the animal’s dialogue. We’ve really paid a lot of attention to detail, so as well as the regular conversation, I’d like the players to enjoy all the subtle reactions of the animals, some of which will come as a total surprise. There are cases where if you are persistent and keep talking to animals, they can end up losing their temper with you. That’s right. We’ve come up with all kinds of things like that. I really want the player to be pleasantly surprised when they encounter a situation where they really didn’t expect there to be such a reaction. Those are the things that I enjoy as a player. Just out of curiosity, how much text is there in the game? Around 1.6 million characters. And that’s just for Japanese! You say it so matter-of-factly! 1.6 million characters! (laughs) It’s a mind-boggling number. Imagine that you can fit about 400 characters on one sheet of paper. That would be 4000 pages, completely filled with text! It’s not just the fine details of the animals’ reactions that we’ve worked on. Up until the last title, there were a lot of cases where the subject would suddenly be changed with a line like: "Nice weather we're having. What are you doing?" This time round, we've tried to go as much as possible for a more natural flow to the conversation. And as we tried to account for every single combination of dialogue, the total number of words just kept creeping up without us noticing! (laughs) But having the subject suddenly changed with questions like " What are you doing?" has been such a stock part of the series up to now, I was worried that by taking the dialogue in a more natural direction, that there would be players who wouldn't feel comfortable with the change. But when we did the monitor testing, the feedback was really positive so we went ahead and worked right to the very end to remove any unnatural dialogue. I see. So by doing that, the word count just kept growing. And then before you realised it, you were looking at a script that was 4000 pages long! 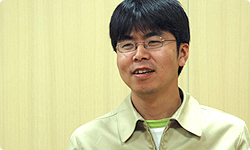 (laughs) Okay, let's have the final word from Nogami-san. take photos . So if all your friends get together, for instance, you can take a picture of them and then send it to your friends. I’d love this game to lead to communication which takes place even outside the world of the game. 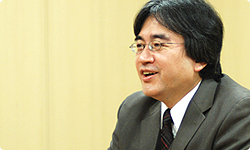 And finally, as I said a little earlier, I would like players who don't have a connection to the Internet to fully enjoy the world of Animal Crossing, and to keep being spurred on by the thought that someday they might get the chance to show the room they’ve put so much effort into to other people. Finally, I'd like to say a few words. 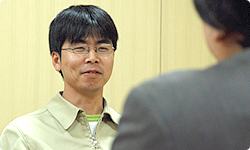 The first Animal Crossing title was released at a time when progress in game development was opening up a huge divide between highly-skilled game players and those who were much less proficient. 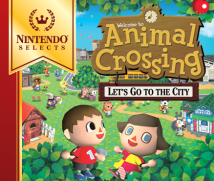 The original Animal Crossing titles on the N64 and GameCube didn’t demand any high-level of gaming ability, and while they were not enormous hits by any means, they still managed to build up a solid fan base. I feel that this marked a milestone in deciding the present direction of Nintendo. Then when the DS version was released, what happened took all of us who had been involved in the game by surprise. It wasn't just that players were able to connect and play together. It was the fact that the deeper players dug, the more levels they discovered and they were truly able to find their own way to enjoy the game. It was this which gave the game its impressive fan base. Now at the end of 2008, exactly two years after Wii was released, the new world of Animal Crossing is set to be unveiled. Players will be able to connect in a whole variety of ways, via WiiConnect24 and Nintendo Wi-Fi Connection, and events inside the game will become topics of discussion in real life. I therefore sincerely look forward to watching as the game eventually becomes seen as a valuable means of communication by all kinds of people. You have all worked extremely hard and I’d like to thank you all very much for your efforts. Could I just add something? Listening to you speak just now, I remembered something. Yes, I remember it well! 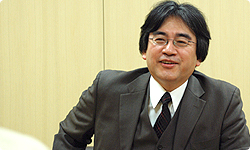 I think it must have been just after I had come to Nintendo as the head of the Corporate Planning Division. Well, the presentation also introduced the games that would go on to become Pikmin and Luigi’s Mansion, so perhaps you were talking about those titles too. No, I remember this game which didn’t demand expert gaming skills striking me as clearly being very original. Of course, I didn't imagine it was going to turn into a hit title selling 5 million copies, but I did think that there was something genuinely unique about it.